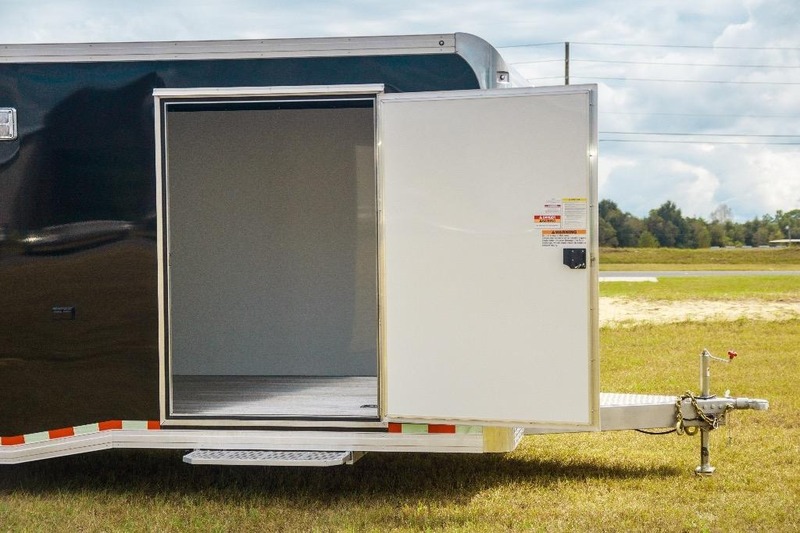 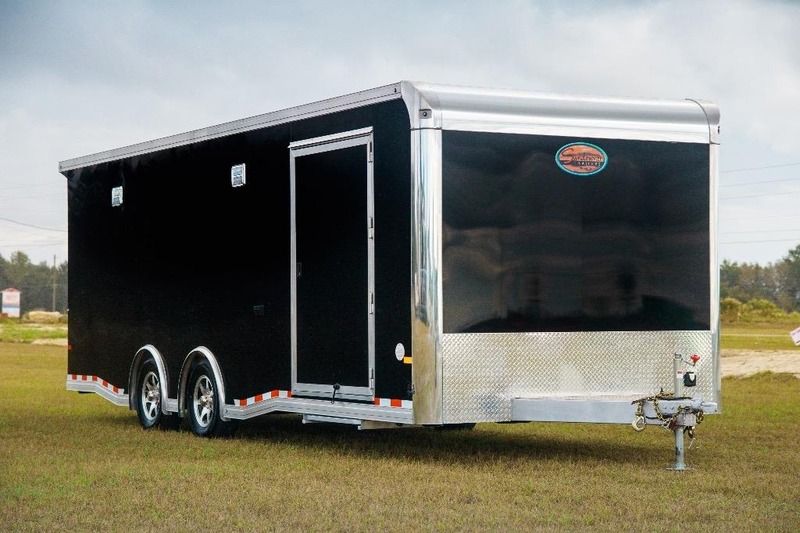 Jonathan Motorcars is proud to present its newest addition to its New Sundowner Trailer collection, this brand new 28' Race Series Enclosed Trailer in Black. 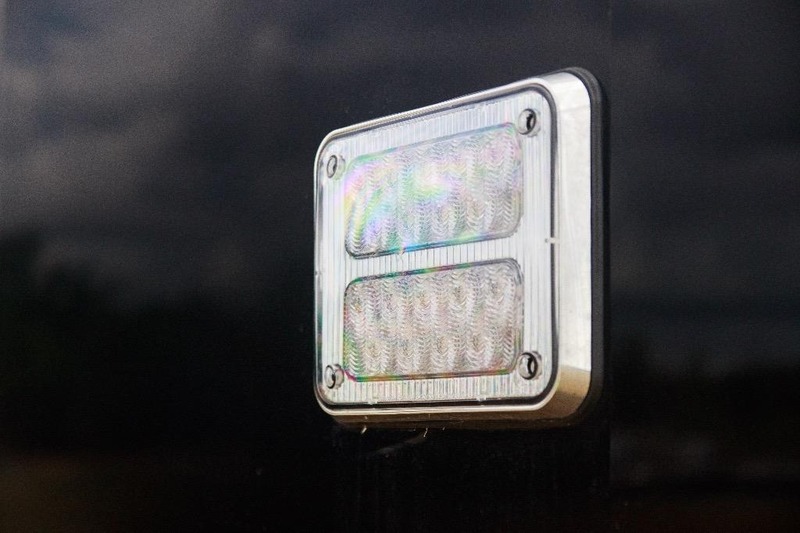 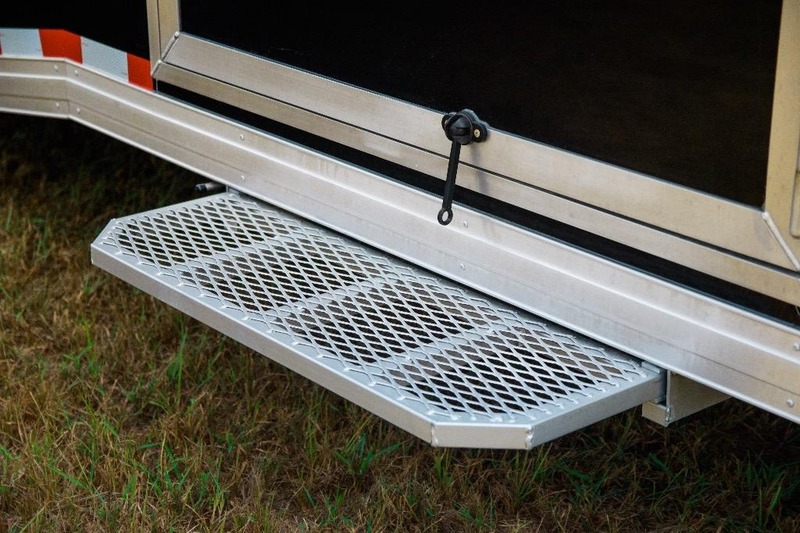 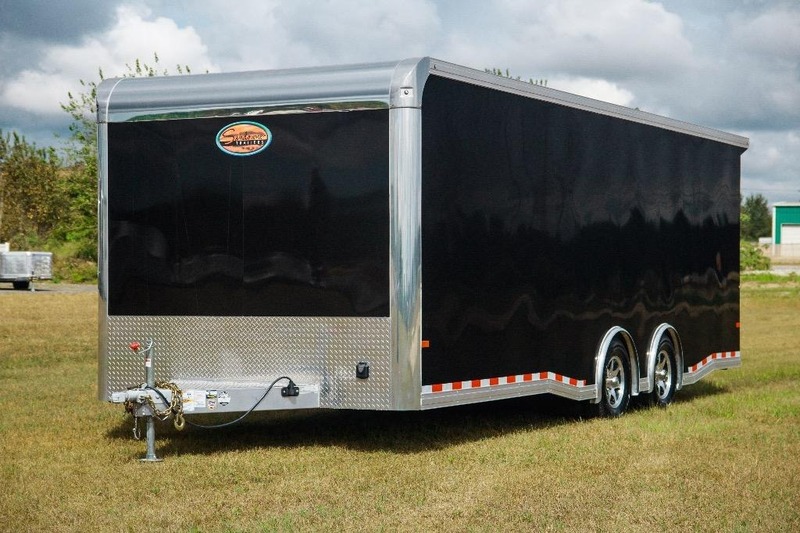 All new Sundowner Trailers come with a 3year hitch-to-bumper and 8year structural warranty. 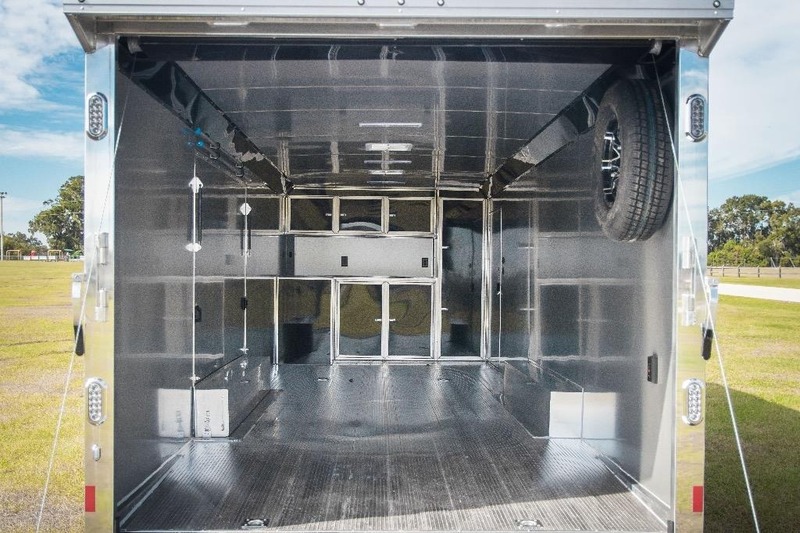 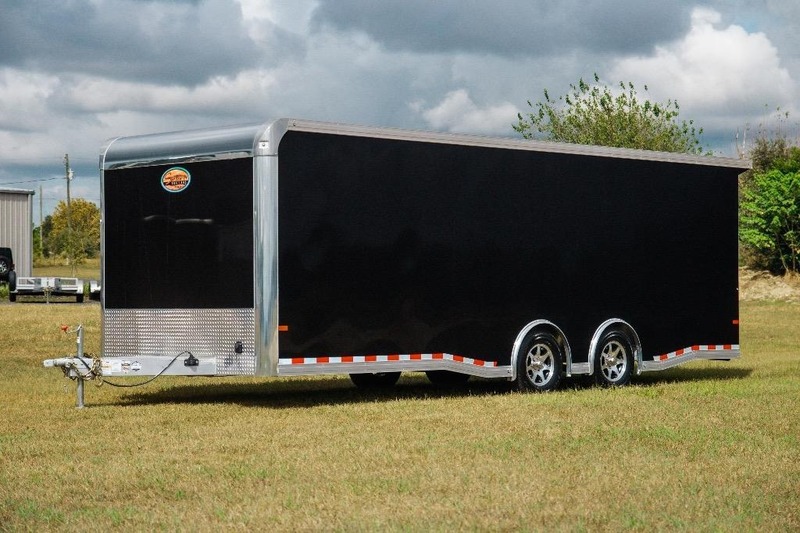 This black 28' long, 8'6 wide, and 7' tall Race Series Trailer comes ready to haul and loaded, built with all-alluminum contruction, 2 5/16" bumper pull hitch, ATP covered A-frame, rubber torsion axles, spread axle, all-wheel electric brakes, nitrogen filled radial tires, aluminum wheels with matching spare wheel and tire option, 4' dove tail, rear roof spoiler with 2 lights, top wind jack, polished cast aluminum corners, polished stainless front verticles and radius, side door with weld-on hinges, low profile slide-out step under side door, full rear ramp with cable assist and butterfly latch with locking clasp, 12" flip down extension for ramp, camper vent framed and wired for a/c, full width aluminum base cabinet on nose, full width aluminum overhead cabinet on nose, four 5000 tie downs in floor, 60amp converter and 12v fuse panel with 30' power cord and battery, four 110v outlets, 2' gravel guard, 18" LED flush-mounted dome lights, and much more. 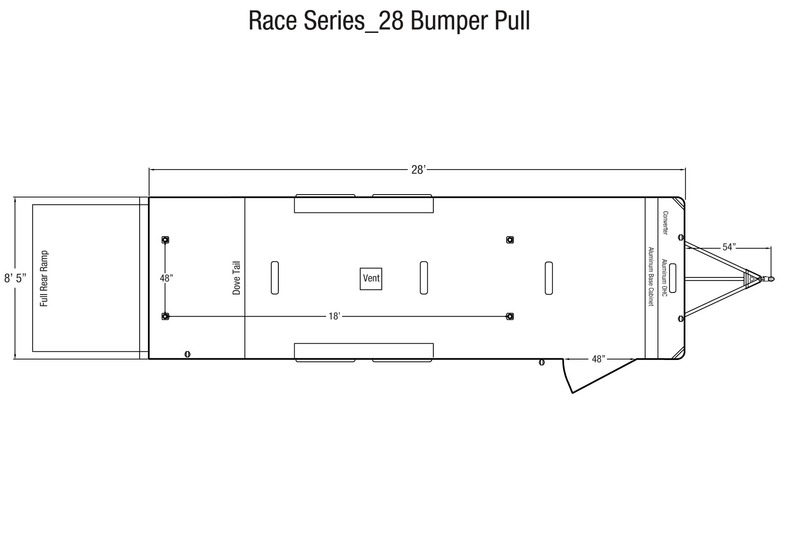 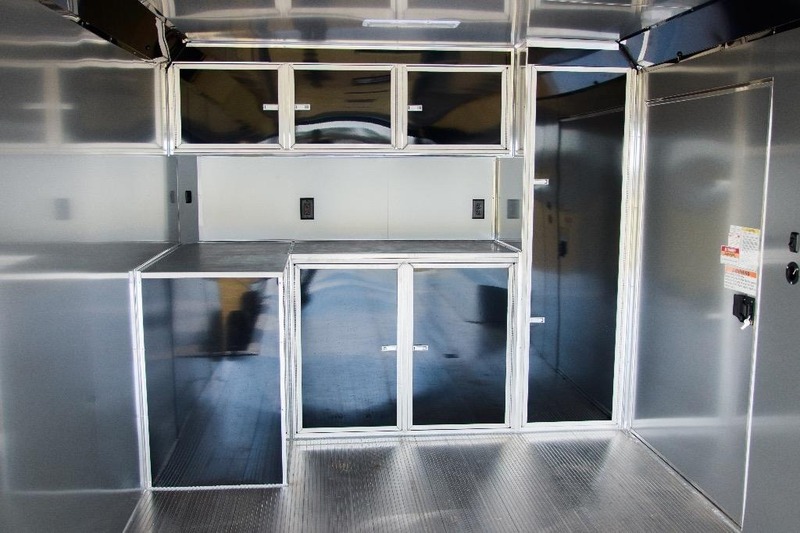 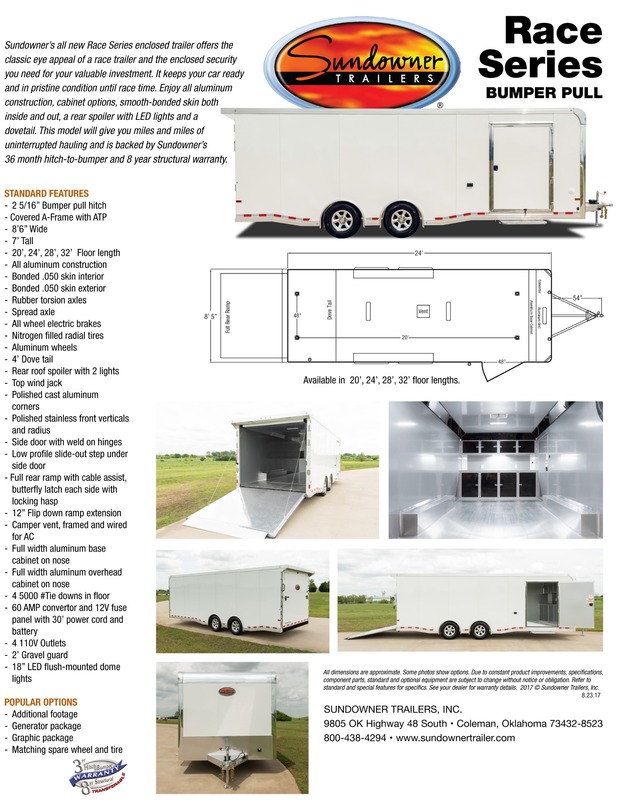 Contact us to day to purchase this Race Series trailer, or custom order your new Sundowner Trailer today (609)871-2700.